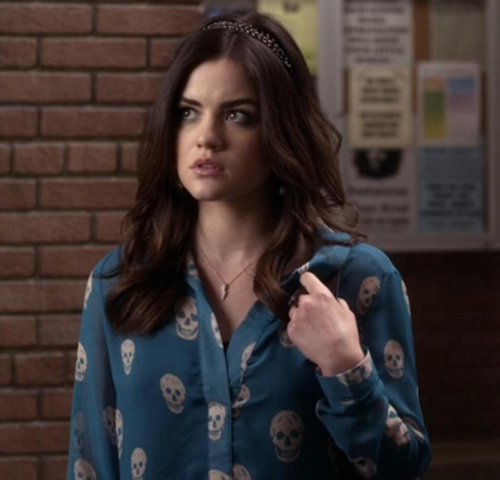 With Pretty Little Liars just around the corner, I can't stop thinking about the show, the creep factor, A, and the pretty ladies of the show. For all of you that aren't familiar, PLL's is a show about four high school BFF's who are being tormented by anonymous "A", after the murder/disappearance of their leader, Alison. It's creepy, intriguing, and most of all, these ladies are incredibly well dressed. For this edition, I selected Aria. I love each of the main girls for different reasons. 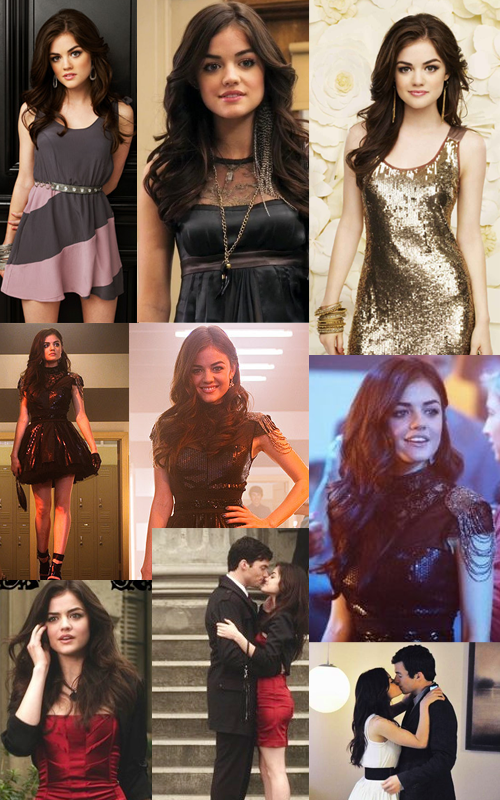 But I've always been drawn to Aria. Her name is almost as beautiful as she is. 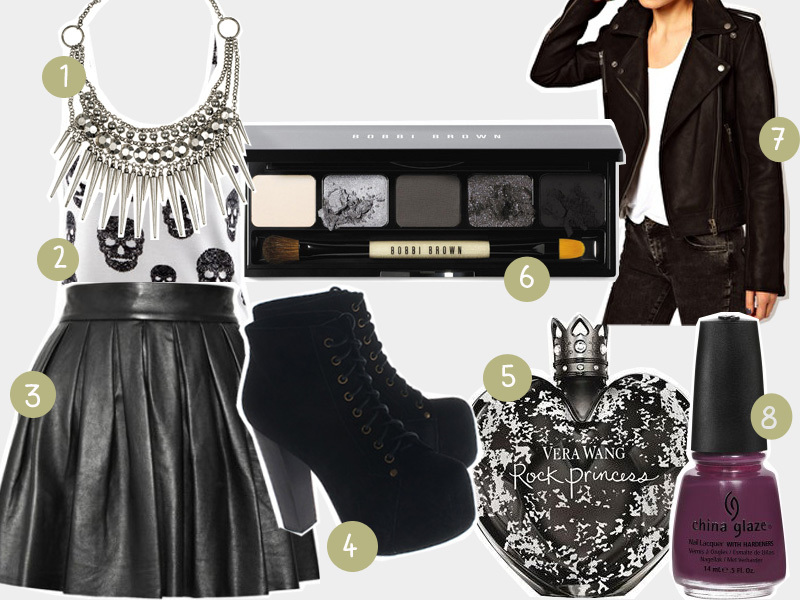 Her style is very edgy meets chic. Which we all know, is my signature look. 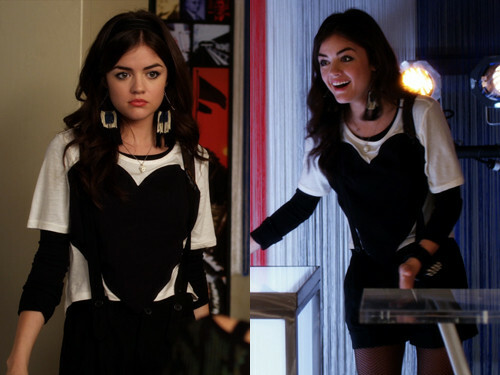 Aria wears really classy pieces and mixes them up with items like leather jackets, crazy shoes, or dark make-up. 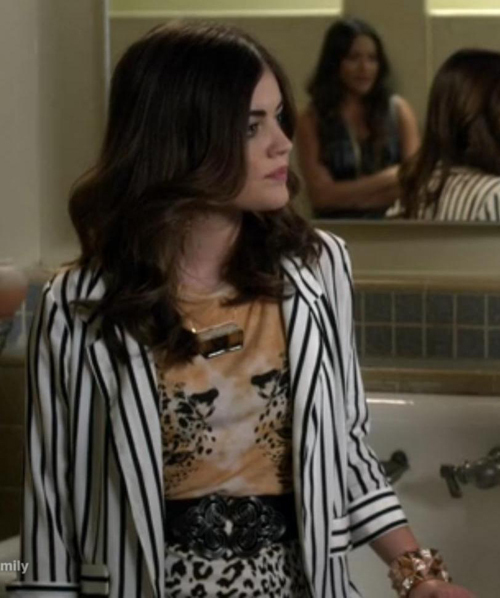 Aria is also all about the accessories. The accessories give her the extra bit of edge and it also completes the looks. She loves chunky and weird necklaces, lots of bracelets.